Feb. 1, 2019, 8:45 a.m.
Plus: 2018’s most popular health articles were plagued by misinformation, and one of Facebook’s fact-checking partners shares details on how much it’s paid. 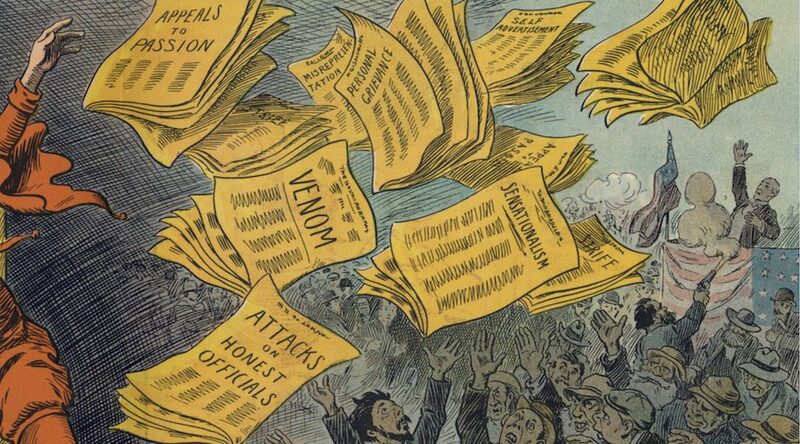 By Laura Hazard Owen @laurahazardowen Feb. 1, 2019, 8:45 a.m.
“We find remarkably high agreement between fact-checkers and laypeople.” Building on a draft paper from last year, psychologists Gordon Pennycook and David Rand have a new study showing that people across the political spectrum rate mainstream news sources as more trustworthy than hyperpartisan and fake news sites — and that “politically balanced layperson ratings were strongly correlated with ratings provided by professional fact-checkers.” Herein lies a possible solution for social media companies trying to decide which news content to up-rank: Maybe they could try trusting the crowd. “Incorporating the trust ratings of laypeople into social media ranking algorithms may prove an effective intervention against misinformation, fake news, and news content with heavy political bias,” the authors write. 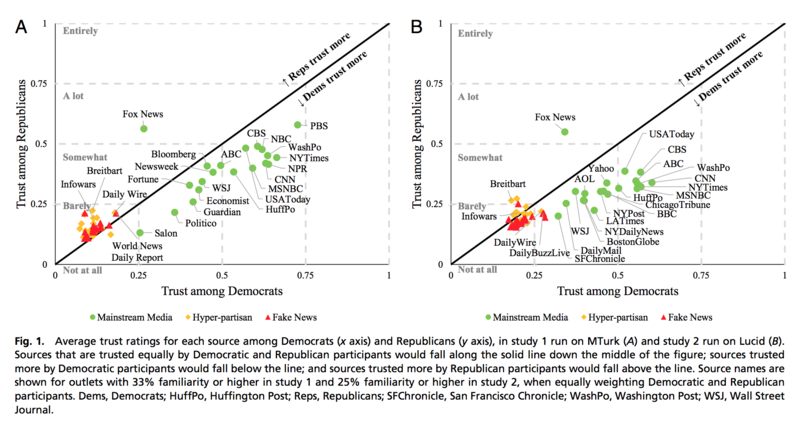 When calculating an overall trust rating for each outlet by applying equal weights to Democrats and Republicans (creating a “politically balanced” layperson rating that should not be susceptible to critiques of liberal bias), every single mainstream media outlet received a higher score than every single hyperpartisan or fake news site (with the exception of “salon.com” in study 1). This remains true when restricting only to the most ideological participants in our sample, when considering only men versus women, and across different age ranges. We also note that a nationally representative weighting would place slightly more weight on the ratings of Democrats than Republicans and, thus, perform even better than the politically balanced rating we focus on here. 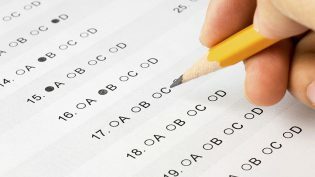 Ultimately, “we find remarkably high agreement between fact-checkers and laypeople,” the authors write, though they note that “this agreement is largely driven by both laypeople and fact-checkers given very low ratings to hyperpartisan and fake news sites” — there is much more disagreement between the groups when they’re only asked to rate mainstream news sources. “Incorporating the trust ratings of laypeople into social media ranking algorithms may effectively identify low-quality news outlets and could well reduce the amount of misinformation circulating online,” the authors write. There is a caveat that may not surprise you: This study provides yet more evidence that Democrats and Republicans have very different levels of trust in the media. Furthermore, these differences were not primarily due to differences in attitudes toward unreliable outlets —most participants agreed that hyperpartisan and fake news sites were untrustworthy. Instead, Republicans were substantially more distrusting of mainstream outlets compared with Democrats. 7 out of 10 of the most popular health articles of 2018 included at least some misinformation. Health Feedback is a nonpartisan, worldwide coalition of scientists fact-checking health and medical news. Working with the Credibility Coalition, it assessed the credibility of the most popular health articles of 2018. Out of 10 articles, scientists rated only three rated as being credible or very credible — and all three were published by Time Magazine (here, here, and here). Of the seven remaining articles, four received “neutral” ratings, and three were rated very low. Of those three, two “were published in websites of dubious origin” (the sites: urhealthguide and Reporting The Truth), but one was a book excerpt published by The Guardian. France’s Libération shares details about its fact-checking partnership with Facebook. Libération is one of several fact-checking partners working with Facebook in France. Alexios Mantzarlis applauded its article about how the partnership works and how much money it makes. POSTED Feb. 1, 2019, 8:45 a.m.
Owen, Laura Hazard. "Individually, people aren’t great at judging news sources. En masse, they’re almost the same as professional fact-checkers." Nieman Journalism Lab. Nieman Foundation for Journalism at Harvard, 1 Feb. 2019. Web. 20 Apr. 2019. Owen, Laura Hazard. "Individually, people aren’t great at judging news sources. En masse, they’re almost the same as professional fact-checkers." Nieman Journalism Lab. Last modified February 1, 2019. Accessed April 20, 2019. https://www.niemanlab.org/2019/02/individually-people-arent-great-at-judging-news-sources-en-masse-theyre-almost-the-same-as-professional-fact-checkers/.